CRYOPERL was established in 2011. We have designed and built five mobile perlite expansion furnaces with specific and unique capabilities for operations on remote locations. 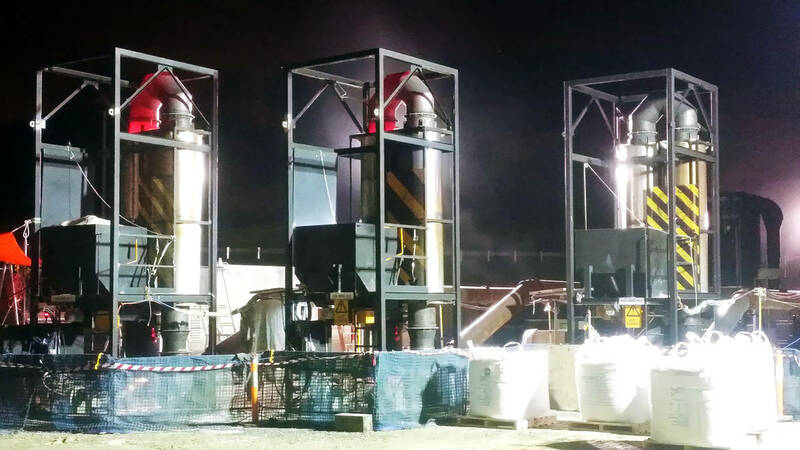 Our experienced engineering team has developed remote controlled vibration equipment to eliminate human entry into the annular space during works. 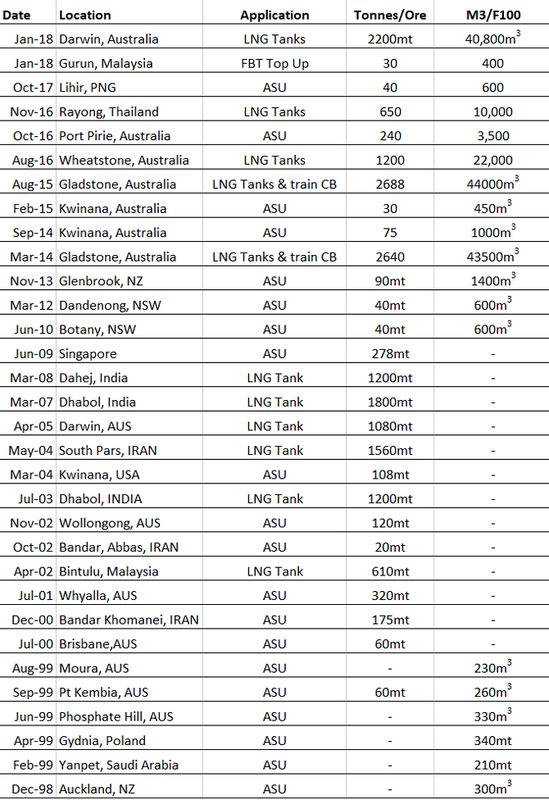 We have completed the insulation works for a wide number of LNG and ASU units in Australia and New Zealand and our team has installed more than 200,000m³ of expanded perlite around the world. The unique properties of perlite have found wide acceptance in the insulating of cryogenic low temperature storage tanks (particularly for the storage of LNG), in shipping containers, cold boxes (air separation units), test chambers and in food processing. Storage chambers –100°c and below are considered cryogenic, and super cold or extremely cold cryogenic fluids such as hydrogen and helium are normally stored in spherical, double walled vessels with evacuated annular spaces using excavated perlite. The company operates five mobile perlite expanders (MPE’s) supported by experienced operators and mechanical engineers for large cryogenic projects. We also supply personal and pre-processed expanded perlite from our Sydney, Australia and Auckland, New Zealand production facilities for smaller cryogenic applications. Perlite insulation exhibits low thermal conductivity and has excellent thermal properties. AUSPERL perlite has been tested by Holometrix (USA) at 24°c and registered 0.0405 W/m-k and BRANZ (NZ) at 0c and registered 0.0364. Compacted density with the latter was measured at 49.8kg/m3 in accordance with PI Designation 201-77. With the former, 48kg/m3. 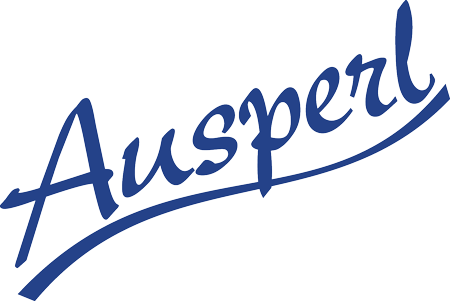 AUSPERL perlite has been approved and/or used by BOC, Air Liquide, Cape East (UK), Chemrock Corporation (USA), Toyo Kanetsu Koyo (Japan), Worldwide Perlite Services (Australia), Kvaerner Whessoe (EU), Keltech Energies (India), and Amol Dicalite (India) and IHI (Japan) among others. Low cost, easy to handle and install. Non-combustible, meeting fire regulations and therefore lowers insurance rates. Does not shrink, swell, warp or slump. Inorganic material that is vermin and rot resistant. As a result of its closed cell structure, the material does not retain moisture. There are many different types of design concepts for low temperature and cryogenic storage vessels. However, most are double wall construction with the annulus filled with expanded perlite. Packaged or bulk perlite may be used to insulate smaller vessels by pouring or blowing the insulation into place. Portable perlite expansion plants are usually used to insulate storage tanks, cold boxes, ships, and other double wall vessels and pipes. In these applications, perlite ore is expanded on-site and the expanded perlite is conveyed automatically into the annulus. Some of our more recent contracts are to the left.